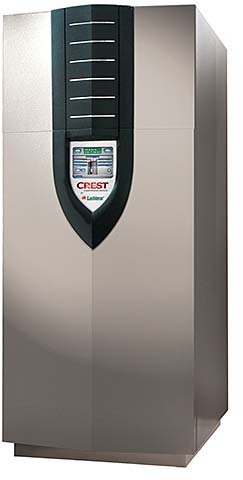 Crest condensing boilers are now available with inputs up to 5 million Btu/hr. Offer dual fuel gas train on the 1.5 to 3.5 million Btu/hr models. A keypad switch on the front panel of the boiler converts from natural gas to propane.